I am a PhD student in the Civil Engineering department of Iowa State University working with Dr. Anuj Sharma & Dr. Chinmay Hegde. Presently, I am working as a Pre-Doctoral Research Fellow in the Institute for Transportation, Iowa State University. 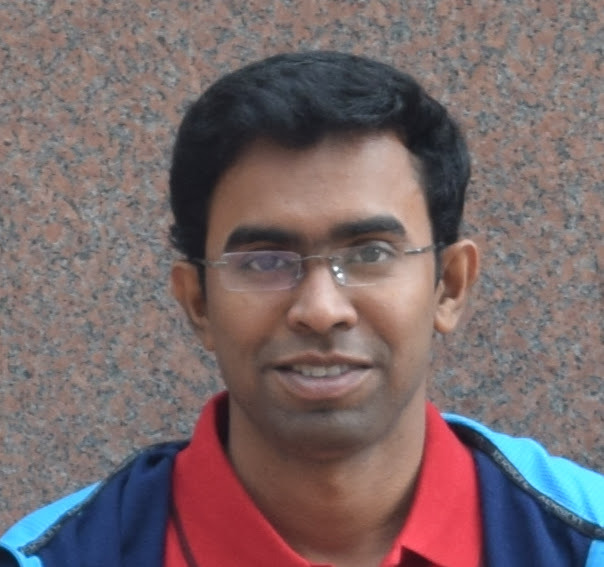 My research focusses on applying deep-learning based computer vision techniques and large-scale data analytics for solving transportation engineering problems. I finsihed my Masters from Indian Institute of Technology Kanpur in 2014 working with Dr. Partha Chakroborty and my Bachelors from BESU, Shibpur (present IIEST, Shibpur) in 2012. Apr 2019: Invited talk on “Big Data and AI in Transportation” in 2019 Business Analytics Symposium organized by Ivy College of Business, Iowa State University. Mar 2019: One paper (first author) published in Transportation in Developing Economies journal. Jan 2019: Our team, Iowa_State_Reactor, ranked 5th in TRANSFOR19, the Transportation Forecasting Competetion, held at TRB Annual Meeting. Nov 2018: Presented one paper (first author) in IEEE Intelligent Transporatation Systems Conference, Hawaii, USA. Sep 2018: Selected as one of the winners of the Student Paper Competition (first author) of TRB Mid-Year conference, Bellevue, USA. Jul 2018: Worked as co-mentor of 3 undergraduate students in SPIRE-EIT REU program. Jun 2018: A short interview on Transportation of Tomorrow: The next generation of engineers published in Go magazine, Iowa State University. Jun 2018: Worked in the organizing team of NVIDIA AI City Challenge workshop in CVPR. Paper here. Apr 2018: Two papers published in Transportation Research Record journal. Dec 2017: Presented one paper (first author) in CTRG. Jan 2017: Presented one paper (first author) in TRB Annual Meeting. Jun 2016: Selected as the winner of the Student Essay Competition in ITS America sponsored by Southwest Research Institute.